Halloween is upon us again. What is it about exploring the creepy, ghoulish, or paranormal side of things that appeals to most of us? How can I parlay that into travel? The history of the Stanley Hotel in Estes Park, CO, was the inspiration for Stephen King’s The Shining. This nearly 100 year old hotel trades on that haunting connection as much as it does on its historic stature. I have not visited it but it sounds like a place worth seeing in person. The Paris Opera could probably maintain a small trade in Phantom-related objets d’art – if only shirts and souvenirs. A quick search on the internet confirms that others have been curious about how much truth might have inspired Leroux’s and Andrew Lloyd Weber’s versions of the Phantom’s love and pain. All interesting reading here and here. Farther afield is Transylvania. (Mwa-ha-ha-ha-ha!) Here, too, a certain amount of history mingled with fertile imagination to create a marvelously frightening figure. Bram Stoker began with historical Vlad the Impaler of the house of Draculesti, combined him with East European folk tales of ghosts who drink others’ blood and created Dracula. Now you can tour several castles which are variously connected with the historical and fictional characters. Closer to home Anne Rice has done her best to bring – or keep – vampires alive in New Orleans. 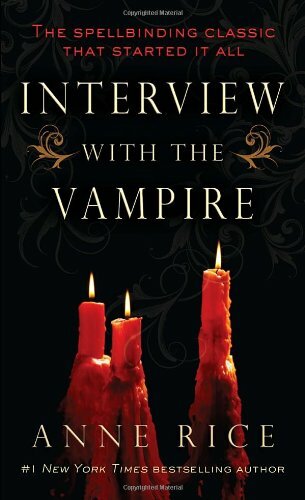 Her Interview with the Vampire (novel and movie, with Tom Cruise and Brad Pitt) set up vampires who had been in the new world since colonial times. If any US city is worthy of this conceit, it is The Big Easy. And even closer to home we have Salem in our own backyard. Salem certainly has capitalized on its own dark period of paranoia and paranormal claims. A young English visitor was eager to visit Salem when she visited us. I cringed and said “Only if you promise to read Arthur Miller’s The Crucible before you come, so you will know more about how that period actually lived.” It turned out that she had been in a theater production of that play, knew it well, and that prompted her curiosity. Our curiosity remains about all kinds of things which seem outside the usual realm. Curiosity, imagination, and exotic places can combine to make wonderful stories. Does it matter if they are true? This entry was posted in Travel, Uncategorized and tagged Dracula, Halloween, Interview with the Vampire, New Orleans, Opera, Phantom, Salem, Stanley Hotel, Transylvania, travel, vampires, witch. Bookmark the permalink.